On December 29, 2008, along with three of my partners, I was partially buried in an avalanche while doing avalanche hazard mitigation during an deep-slab cycle. Among the four of us, we had over 75 years of experience--we never thought we would have been part of a multiple burial scenario--but it taught us a lot about doing complex rescues. During the rescue that ensued, we were at first uncertain as to how many victims were caught in the slide, so we proceeded under the assumption that there were more victims. As the search continued and people were accounted for, it became unlikely that anyone else was buried. After a thorough search of the area with our beacons our incident commander deemed the area clear of any transceiver signals. Just then, someone yelled, "I have a signal!" The cursed "auto-revert" function had switched a rescuers beacon to SEND. Another rescuer picked up the signal, and we were off to the races. Moments later, it happened yet again, but we were on to the beacons tricks this time. Auto-Revert modes, while providing a necessary level of safety while performing a rescue beneath secondary avalanche paths, can complicate a already complex situation. With the PULSE Barryvox's 3.2 firmware update, Mammut has introduced a new function: RESCUE-SEND. In this mode, the beacon does not send or receive a signal, thereby allowing a designated prober or shoveler to essentially turn their respective beacon off. However, if the built-in accelerometer does not recognize significant movement for 4 minutes (the default auto-revert time on many beacons) then the PULSE will revert to SEND. To initiate this mode, switch the beacon directly from SEARCH to SEND. After the 5-second confirmation-countdown (which allows you to switch back to search without losing the saved burial list if you accidentally switched to SEND), a "RESCUE-SEND" prompt will appear on the bottom of the screen. Press any button and you are in RESCUE-SEND. A full-screen prompt and a 3-note descending tone will confirm your selection. The PULSE 3.2 also has updated the standard Auto-Revert function. Normally, the beacon will revert to SEND after 4 or 8 minutes in SEARCH (depending on what you choose in your settings.) However, you can also choose, "No Revert in Motion" in the settings. Now, if your PULSE identifies adequate movement, it will never revert to SEND. 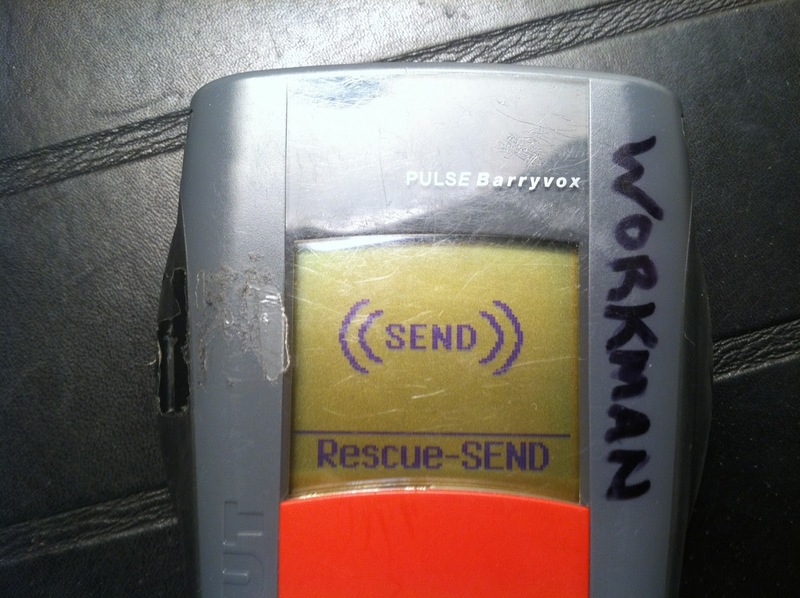 Using the built in accelerometer (motion sensor), PULSE 3.2 has introduced these functions in order to avoid confusion during rescues--often caused by Auto-Revert.